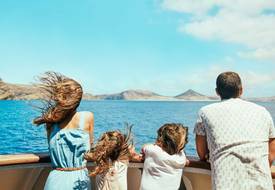 This fun-filled family adventure covers the best of the best in Madeira and your family will quickly fall in love with this beautiful island. Get up close to the nature, wildlife and action of the island and enjoy the warm waters and plentiful marine life, as well as the magical mountains and fantastic lava pools. The locals are warm and welcoming and Funchal is a great place for your family to explore. 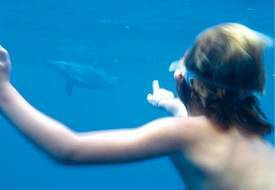 Please Note: you can only snorkel with the dolphins if the conditions are right. There is also the possibility that not all the members of the group will be able to do it before the dolphins move on. 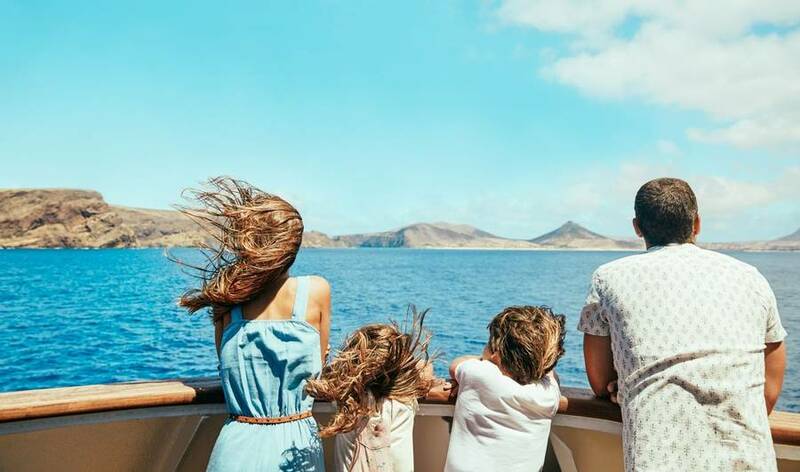 Madeira is the perfect place for families to enjoy a holiday of discovery: warm waters, sun-filled days and exciting activities make this a fantastic place to explore. You’ll be based in Funchal, the island’s small and fascinating capital and from here you can take part in all sorts of adventures. On your first day, you will explore the island as you enjoy a jeep adventure from one amazing viewpoint to another, over mountains and through valleys and along the winding coastline as you go! Stopping for a walk in the colourful mountains of Madeira, you’ll head to the stunning Balcões viewpoint, which looks out to the island’s central mountain range. From here, you’ll then go for a short walk along one of the island’s many levadas, traversing across the forested hills, filled with emerald green trees and bursting with colourful flowers and bubbling streams. Moving from land to sea, you’ll have the chance to explore the coves and bays of the island by sea kayak, as you paddle across the beautiful blue sea in search of wildlife and adventure. You’ll then take to the seas again, aboard a RIB in search of marine life. 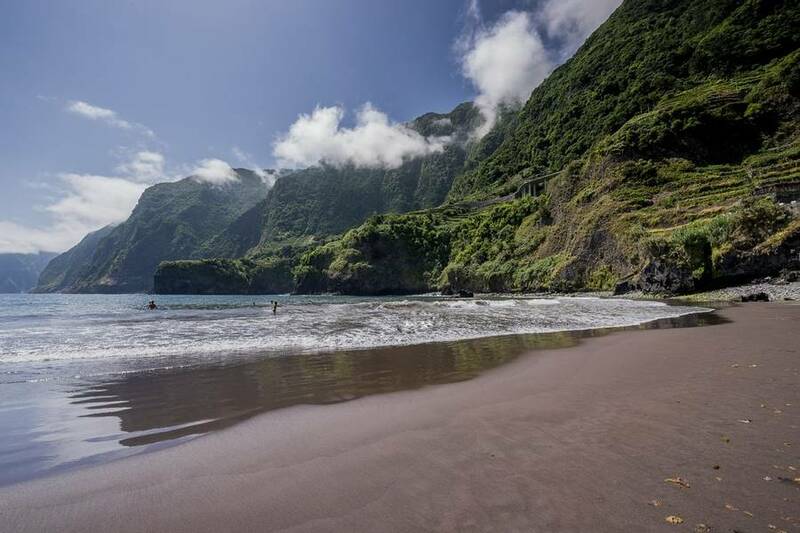 Madeira is renowned for its whale and dolphin watching, so there’s no way we could leave this out during your time here. 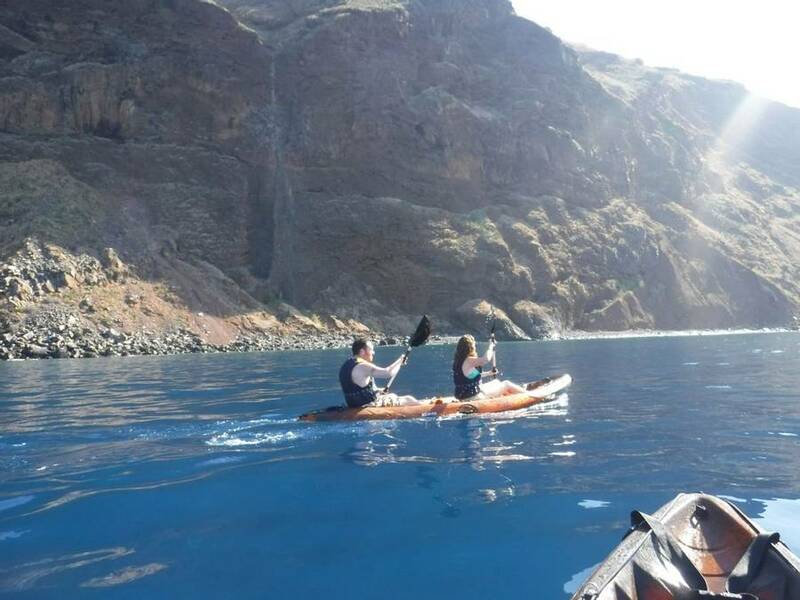 The boat trip will take you across the waters that surround Madeira and if nature is on your side, you’ll even get the chance to snorkel with the wild dolphins that call these waters home! A truly brilliant experience, this is sure to leave your family with fun-filled, lasting memories. After the excitement of the ocean, you’ll head deep into the island for a half day of family-friendly canyoning. It’s a fantastic way to explore the island from another point of view – water slides, refreshing pools and rappels will certainly keep the family entertained! Back on the road and you’ll journey by jeep to the volcanic caves of Sao Vicente, which includes a trip to the Volcanism Centre to learn about the island’s formation. From here, you’ll then get to see how volcanoes can create natural masterpieces, as you swim in the fantastic saltwater swimming pools of Seixal, which were formed by lava and are filled with beautiful, crystal-clear water. There’s also a black, volcanic beach nearby, with fantastic views of the cliffs above. 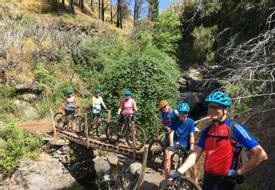 Finally, you’ll take to the trails as you enjoy an easy biking tour along a wide levada, surrounded by luscious forest; a fantastic way to explore the famous irrigation channels of Madeira! Based in a family run hotel, which is full of charm and character, you’ll be staying close to the sea and the old town section of Funchal, so this is the perfect trip for families looking for a fun-filled adventure holiday with nearby shops, restaurants and excitement! Arriving into Funchal, you will be picked up at the airport and transferred to your hotel, the Quinta da Penha Franca/Franca de Mar, which is situated close to the sea and the old town section of Funchal. This evening, you’ll meet with our local guide and walk to a nearby restaurant for a fantastic welcome dinner in a traditional Madeiran restaurant. Food is a big part of island life, so make sure that you try some of the island’s specialities, such as scabbard fish, skewered beef and oven-baked flatbread. Please note that the order and timings of activities listed within the agenda is subject to change; your final itinerary will be provided to you on arrival. 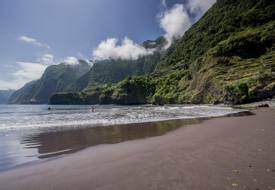 Madeira has to be explored to be truly appreciated, so we’ve made sure that you get to cover as much of the island as possible and see it in all its glory. A jeep expedition is a brilliant way to journey through the mountainous terrain and it will no doubt excite the family as you weave through the ravines and wind along the coastline. The island is filled with natural sights and viewpoints, from stunning plateaus to jagged mountain peaks, it is one big natural wonder. Stopping at the Balcoes viewpoint, you will get to see the inner mountains of the island; tree-covered and towering high above. From here, you’ll enjoy a picnic lunch in the laurel forest, followed by a walk along a winding levada, through the luscious vegetation, filled with tropical trees and plants bursting with colour. Levadas are small irrigation channels used to transport water down from the mountains; they are one of the island’s most famous features and following one is a great way to explore the island’s terrain! The walk will be tailored to the group’s ability, but it will cover approximately 5km, lasting two hours, with plenty of rest stops along the way. Your jeep adventure will last the full day, starting at 9am and finishing at 5pm (approximately). Upon returning to your hotel, why not take a short walk into Funchal and eat out at one of the city’s many restaurants tonight. Today is free for you to do as you please; you can be as active or relaxed as you like. You might choose to spend the day lounging by the pools or swimming in the sea, or maybe you’ll want to explore the city of Funchal at your leisure. Thanks to the hotel’s location, Funchal can be reached on foot and you can enjoy a walk through Santa Catarina Park which is filled with flowers, trees and colourful shrubs (the park is also opposite Cristiano Ronaldo’s hotel and museum!). 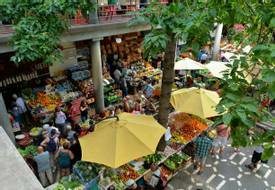 One thing not to be missed is the city’s marketplace, which is packed with sweets, fruits and vegetables: a real treat for the senses. 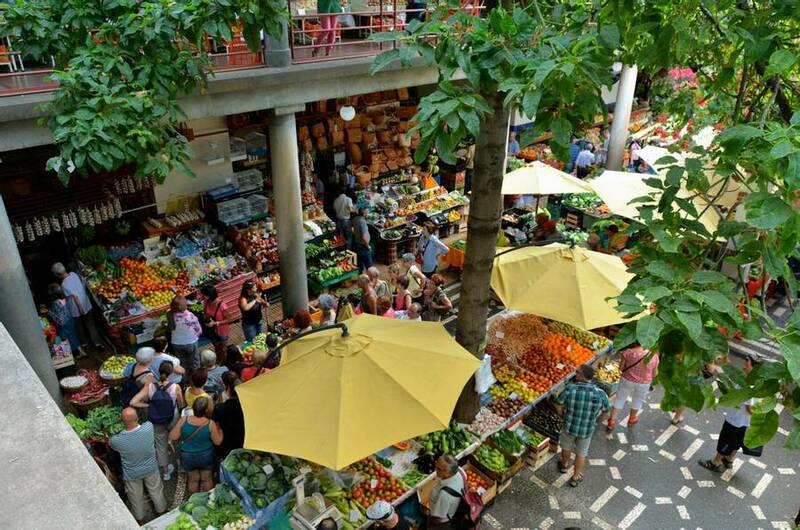 You should also take a walk through the colourful old town, which is brimming with exciting shops, cafes and restaurants – you can even take a cable car up to the mountains above for a spectacular view of Funchal and the surrounding coastline. Today is filled with water-based fun for all of the family to enjoy, so be sure to have your swimming costumes at the ready! After breakfast, you will be picked up from your hotel at approximately 9am, before heading to the sea for a morning of sea kayaking around the coves and bays of the island. 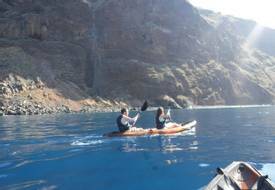 This is a great way to see the coastline of Madeira, as you paddle across the deep blue sea. Keep your eyes peeled, as you never know, you might just catch a glimpse of some marine life, prior to this afternoon’s marine-based excitement! You will be kayaking for approximately two hours this morning, returning to the hotel at around 12:30pm. The kayaks are sit-ons which can accommodate two adults and one child and you will have plenty of time to swim and snorkel in the clear waters of the Garajau Nature Reserve, which is home to a variety of coastal species. This afternoon, at approximately 3:45pm, you will be picked up from the hotel and transferred to the harbour. You will then head back out to the Atlantic for what will hopefully be one of your most memorable activities: whale watching and snorkelling with dolphins! If luck has been on your side, you may have already seen marine life during your kayaking this morning, but this afternoon’s adventure will be different and more personal in many ways. 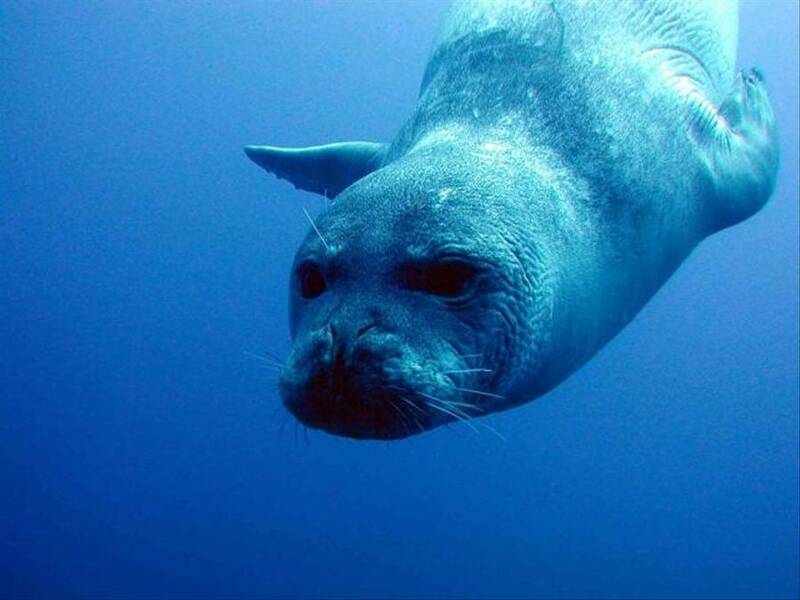 You will head out via RIB (Rigid-hulled Inflatable Boat) in search of your aquatic friends. Your onboard marine biologist will tell you about the marine life of the islands while your captain searches for whales and dolphins. 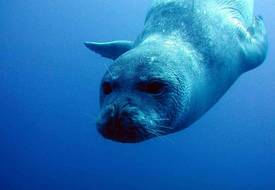 The waters that surround the islands are rich with life and throughout the year, 28 different species can be found, including: Atlantic-spotted, bottlenose, risso's and stripped dolphins, as well as pilot, bryde and fin whales. Hopefully nature will be on your side today and give you the chance to get close to the action and excitement, as the dolphins follow your boat. If the conditions are right, you may also get the chance to join the dolphins in the sea, as you snorkel alongside the boat; a fantastically amazing experience for all of the family. 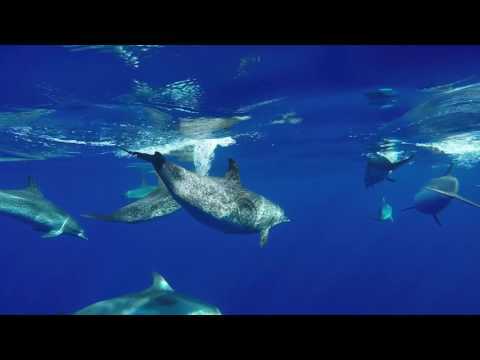 Although you may not get to see the dolphins as close as you would in a marine park, the experience is far superior as you get to see them in their natural environment. Please note that snorkelling with the dolphins depends on the weather conditions at the time, as well as the dolphins’ behaviour and there is a chance that it might not be possible. 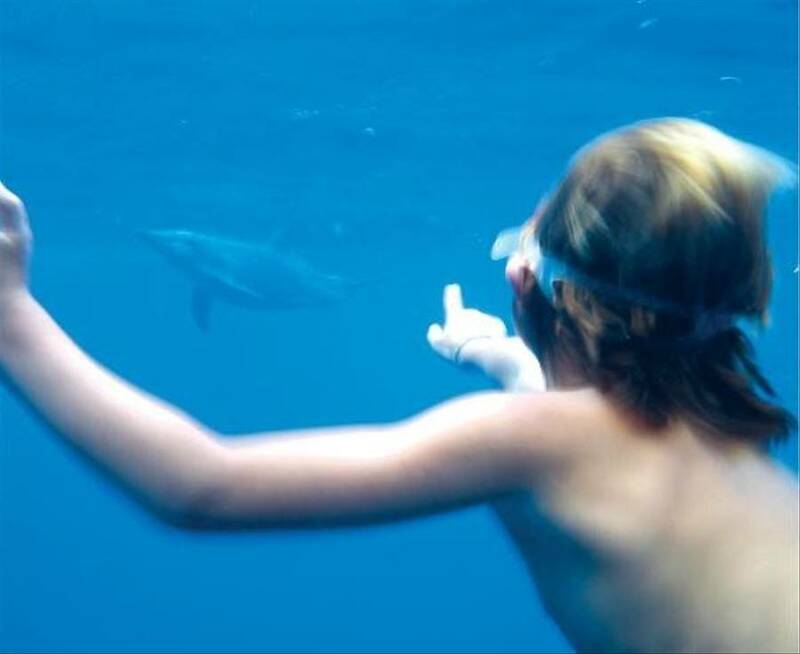 There is also a possibility that not all members of the group will be able to snorkel with the dolphins before they move on, as only 6 people are allowed in the sea at any one time. You will return to the hotel at approximately 6:45pm tonight. Today’s activity starts in the afternoon, so we would recommend an early lunch, as you will be collected from the hotel at approximately 1pm and taken into the island’s interior for an afternoon of fun. 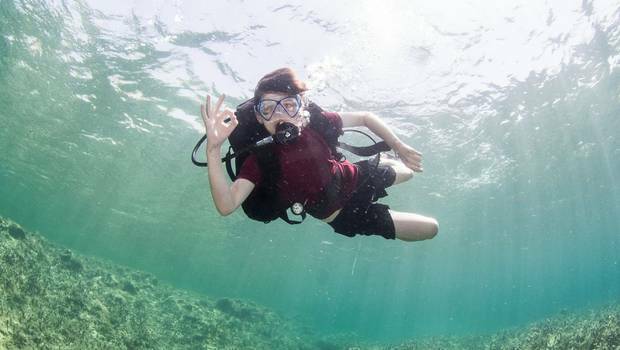 You’ll be kitted out with wet suits and canyoning shoes, with your swimming costume worn underneath. It’s then an uphill walk, followed by a steep path down through the trees to the start point. It’s the perfect canyon for novices, with a series of easy slides, pool jumps and rappels to enjoy. Our expert local guides have been working in these canyons for years and they know every little foot and hand hold there is, so you’ll be in safe hands throughout. You’ll be guided through the canyon at a pace suited to the group’s ability, taking in the incredible scenery as you work your way downstream. Filled with trees, plants and colourful flowers, it’s a wonderful place to explore – the canyon is filled with fennel (funcho in Portuguese), which is where the name Funchal, the island’s capital, comes from. 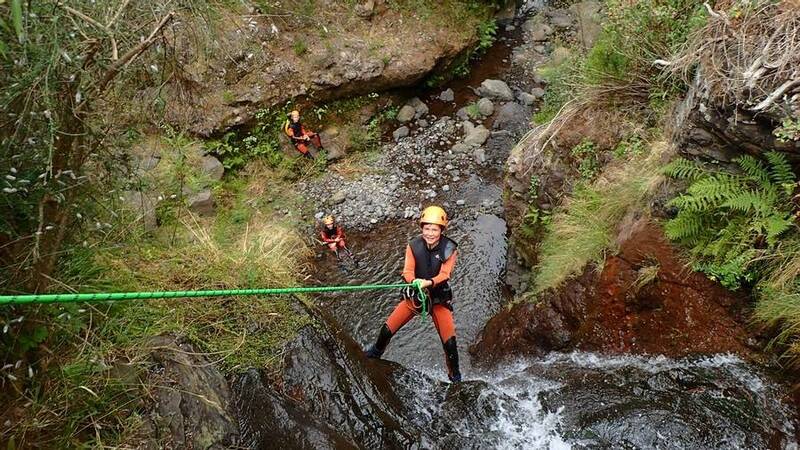 Canyoning is a fantastic way to experience the island’s landscape from a different perspective and it will no doubt leave your family grinning from ear to ear, as you navigate your way along the stream. You will return to the hotel at approximately 5:30-6pm. 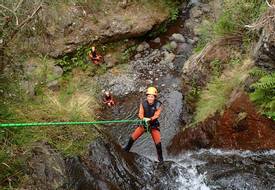 Please note that children must be over 140cm tall to participate in the canyoning. 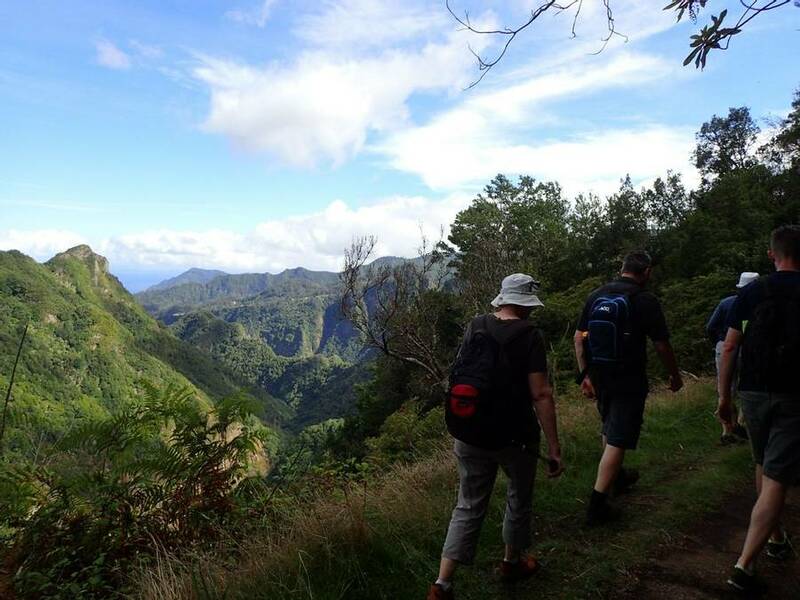 Today you will enjoy another full day of excitement and adventure as you explore the northern part of Madeira. You will be picked up from your hotel this morning and journey towards the small village of Sao Vicente, which is on the island’s northern coast. Your journey will take you into the mountains, through deep ravines and picturesque villages, arriving at the Volcanism Centre where you will learn about the formation of the island before having a chance to explore the volcanic caves and tunnels. Following this, you will stop for lunch in a local restaurant with a chance to experience some of the island’s flavours, then it is on to the natural lava pools and volcanic beach at Seixal. The saltwater lava pools were naturally created by volcanic eruptions and have since filled with seawater to create the perfect swimming area, with crystal-clear waters; a wonderfully fun experience for the family! You will arrive back at your hotel at approximately 5-5:30pm. This morning, it’s time to explore the island by bike. We’ve selected a family-friendly trail which follows a wide and gentle levada. You’ll cycle for approximately two hours, as your expert guide leads you through the forest on this easy route. Cycling past towering trees and plants bursting with colour, this is another fantastic way to enjoy the stunning flora of Madeira in a wonderful part of the island. 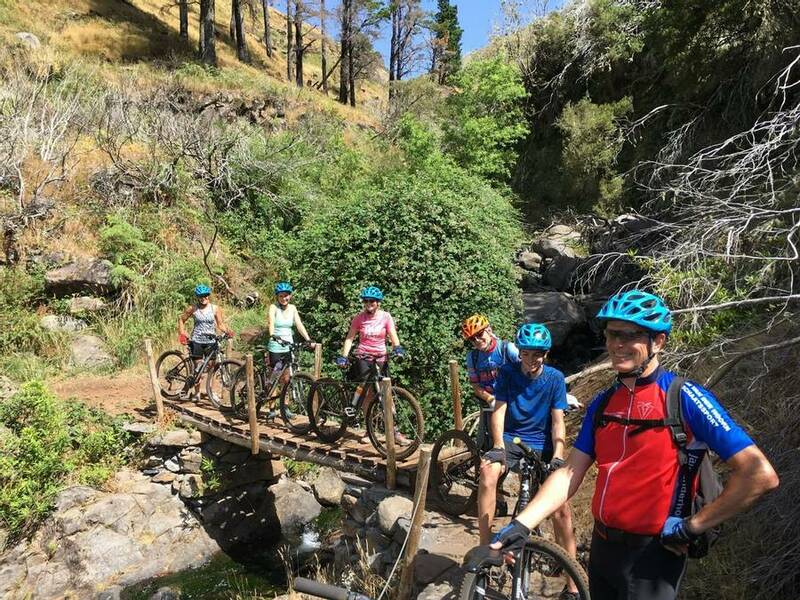 Each activity this week allows you and your family to explore different parts of the island by foot, kayak, bike, boat and jeep, giving you a wonderful, all-encompassing Madeiran experience; hopefully filled with an abundance of family-fuelled fun along the way! Returning to your hotel in time for lunch, you will have the afternoon free to unwind and relax, or explore Funchal for one last time. Tonight, you will have a farewell meal in a local restaurant, only a short walk away from the hotel. Sadly the time has come for you to return home today. After breakfast at your hotel, you will be transferred to the airport for your flight home. Situated close to the sea and only a short walk from the centre of Funchal, the Quinta da Penha de Franca is perfectly located to enjoy sun, sea and adventure! The word ‘quinta’ refers to country villas and manors and they offer a true sense of Madeiran life, with traditional designs and lots of character, making a refreshing change from the large hotels that you can see throughout Funchal. The hotel is set slightly back from the sea, with its own tropical gardens and saltwater swimming pool and it is perfect for families. It is joined to the Quinta da Penha de Franca Mar (accommodation option 2) and facilities are shared between the two. Our package includes accommodation in a garden view room with terrace/balcony (other options are available). These rooms are traditionally decorated and come with either a twin or double bed. They each have a TV, telephone, minibar and safe, as well as a separate bathroom with tub and hair dryer. Some rooms have air-conditioning (fans are also available and payable locally if required) and each of them enjoys views out to the hotel’s tropical gardens. These double and twin rooms have their own balcony overlooking the garden and with a side view of the sea. Each room has a double or twin bed, a TV, telephone, minibar and safe, as well as air conditioning and a separate bathroom with tub and hair dryer. This hotel sits right by the sea, with fantastic views over the Atlantic. Perfect for families, this hotel is linked to the Quinta da Penha de Franca and guests can make use of the two pools, as well as the direct access to the sea. More modern than the Quinta da Penha de Franca, but traditionally decorated, this hotel is perfect for families who enjoy seaside relaxation with amenities close by. Only a short walk from the heart of Funchal, guests can also enjoy a variety of nearby restaurants, cafes and attractions. Each room is decorated in a nautical style and includes a double or twin bed, as well as TV, telephone, minibar and safe. All rooms have a view of the sea and have either a terrace or balcony, as well as air conditioning and en-suite bathroom. Read more great and let us have our rooms straight away). We travelled with our sons aged 8 and 10 - they had an absolutely brilliant time and thoroughly enjoyed the kayaking, canyoning and mountain biking. I would just say that my youngest is strong and fit and fearless for his age - I would be cautious of taking an under 10 on this holiday if they were of a more cautious disposition or less robust as the activities are quite physical and could be overwhelming for nervous children! Having said that, the activity guides were absolutely lovely and I am sure that they would be able to adapt things as needed to keep everyone happy. We felt that the itinerary was extremely well worked out - we left feeling we really understood the island and had a good balance of history, culture, sightseeing, nature and physical activities. The welcome and farewell dinners were much appreciated but we also enjoyed finding our own places to eat in Funchal as there are so many options (and amazing ice cream along the seafront open until late every night!). There was exactly the right amount of free time for us and it was spaced out through the week in a very thoughtful way.